It is perhaps ironic that such a traditional old place should be the centre of Croatian naturism but the opening of the immense Koversada naturist camp in 1961 put Vrsar on the global map for naturism. 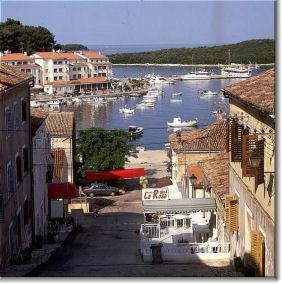 Of course you don't have to take it all off to stay in Vrsar. There's little accommodation available in the old town. Most of the hotels and campsites are immense complexes located a little out of town. Vrsar is well connected by bus with Rovinj and Porec but there are no ferry, train or flight connections. The tourist office (tel 52- 441 187) is at Rade Koncara 46).